John Travolta is a famous Actor from USA, he is 65 years old and still alive, born February 18, 1954. 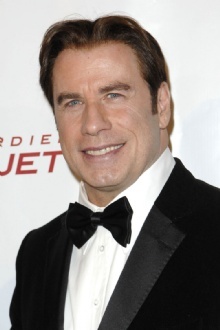 John Joseph Travolta (born in Englewood, New Jersey) is an American actor. Travolta became known as Vinnie Barbarino in the TV series Welcome Back, Kotter in the 1970s. He got through in the film Saturday Night Fever in 1977, with Academy Award nomination for Best Actor. The real breakthrough came with the lead role in the movie Grease the following year, where he played alongside Olivia Newton-John. After that he participated in several films, until he regains success with the movie Pulp Fiction, which earned him an Oscar nomination. He received a star on the Hollywood Walk of Fame. Travolta married actress Kelly Preston in 1991. They have a daughter Ella Bleu (born 2000), their son Jett (born 1992) died 2 January 2009 at the age of 16, of a seizure during a familyholiday. And Benjamin born 2010 suffered from a disease called Kawasaki disease, which may result in a variety of painful side effects such as seizures and in some cases heart problems. John Travolta is a pilot and owns five airplanes, including a Boeing 707-138 with Qantas and paint marking as he is a goodwill ambassador for the airline. The plane bears the name "Jett Clipper Ella" and is named after his children and Pan American World Airways who used Clipper in their plane names. He is born under the zodiac aquarius, who is known for Knowledge, Humanitarian, Serious, Insightful, Duplicitous. Our collection contains 9 quotes who is written / told by John. "I will direct one day, but I have a feeling that it will be very limited"
"I was just thinking of James Dean and Marilyn Monroe and how young they were when they died. I would like to be a pop icon who survives. I would like to be a living icon"
"And now after all this time I finally figured out how to trap him... I will become him"
"You just activated a nuclear warhead, my friend"
"There are unwanted emotions and pain that goes along with any birth"
"I have to believe there's some other life force out there. I don't know in what form. But we can't have all these galaxies and universes without something going on"
"So you know what I'm gonna do? I'm gonna do something really outrageous, I'm gonna tell the truth"
"It's hard to make a cultural phenomenon every time"
"He lives with his creativity in high gear"